Even small investors can create passive income! Cash Flow Power I (by Paul Mladjenovic, CFP) Create passive, recurring income with investing strategies...even if you are a small investor! 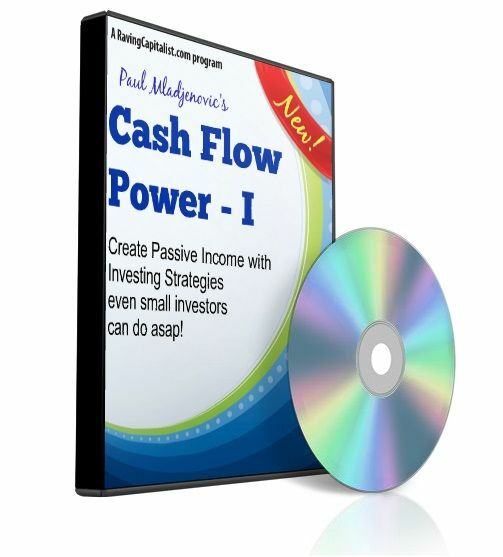 CASH FLOW POWER I - Investing Strategies to create Passive Income! Worried about your retirement income? Concerned about the ugly headlines about Social Security insolvency or pension programs falling short? Instead of worrying you should be taking action and creating passive income…money that comes in even if you’re relaxing on your vacation. Discover how you can build a powerful income-producing portfolio. * How to buy income-producing real estate without being a landlord or fixing up...you can even do it from home with a few easy mouse clicks on your computer! Get the full program today (a 2 1/2 hour audio seminar) and start creating financial security even as a small investor! Spread the word about it and earn 60.00% of the purchase price on sales you refer.